HMRC have many methods to fight tax fraudsters and will not be backing down anytime soon. Many of these methods are traditional and have been used in the past. However, many of the newer methods are high tech and have made HMRC’s job of finding tax fraudsters easier. The key methods that are used to check and find tax fraudsters will be discussed. ‘Connect’ is the super software program that HMRC uses to filter and inspect data. This software program creates links between data it finds and generates associations between these links. It is comprised of information from numerous sources including credit card companies, PayPal, online data, apps and other financial sources. Only business data and transactions should be surveyed but there is some concern that personal data is also being included. Chasing Offshore accounts is one of the main areas that HMRC are investigating. With the high amount of international teamwork between countries, these offshore accounts which have been tax havens, are now being discovered. Now under the rule referred to as ‘common reporting standard’, a holder of an offshore account will have their details directed to their home government. Professional advisors such as lawyers and tax advisors must provide any information that they have about offshore accounts. If they assist an individual or corporation they will face large penalties. Individuals who has covert business activity and income that is hidden will be investigated. Specific professionals and recently, specific income types such as income from buy-to-let or second incomes have fallen under HMRC’s radar. Future investigations are thought to be moving towards the taxi economy. By 2020, HMRC have set a target to triple prosecutions against wealthy individuals and businesses. If they have offshore accounts, these must be declared by September 2018 otherwise they risk facing a 200 percent fine. All offshore accounts with £25,000 or more in them will automatically have the name of the account holder published on HMRC’s website for up to three months. The use of hotlines has proved to be a vital method in getting informers to give-up information about tax fraudsters that they may know. 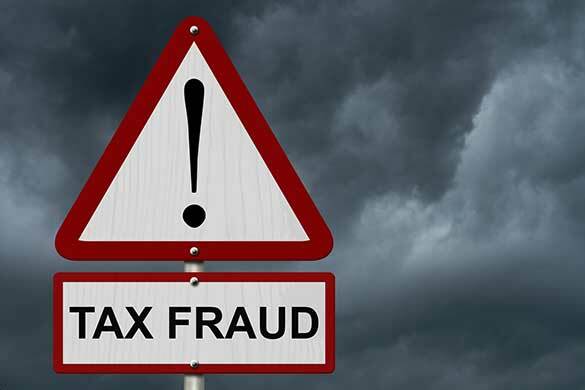 An informer who has confidential information about tax fraud may receive a financial reward and this has proved key to getting informers to contact hotlines. HMRC want to create a Digital Tax system for small businesses to ensure accurate reporting of sales and expenses. This is the main area where tax is under-reported or where tax fraud occurs. Hence, by digitising the tax system, HMRC will be able to check that your business results are in line with other small businesses in that market. Any anomalies can then be highlighted and investigated. Another technique in the retail market especially in the restaurant sector, uses a ‘secret shopper’. A tax inspector poses as a customer and then can investigate the accuracy of the reporting system of the business, by checking if the meal they had is reported in the account books. With the wide use of social media as a way of highlighting one’s lifestyle, especially when it is a lavish one, is being scrutinised by HMRC. Data from all social media sites form a picture an individual’s lifestyle. Where this picture does not match the declared income of the individual, they will be investigated to ensure that no tax fraud exists. Satellite pictures are also examined to ensure that any large property renovations or extensions are being carried out by individuals who are in the higher income tax groups. If they are not, then they will be investigated to see if they are tax fraudsters. Suspicious Activity Reports (Sars) are reported by banks and tax advisors. These are then linked to HMRC’s software program ‘Connect’ and it super database. These reports are almost always used and are key in uncovering tax fraud as well as suspicious activity. It is now a disclosure compliance for UK trustees to reveal information about their assets to ensure that a complete picture of their tax position can be gauged by HMRC. This will highlight any anomalies which can then be investigated.